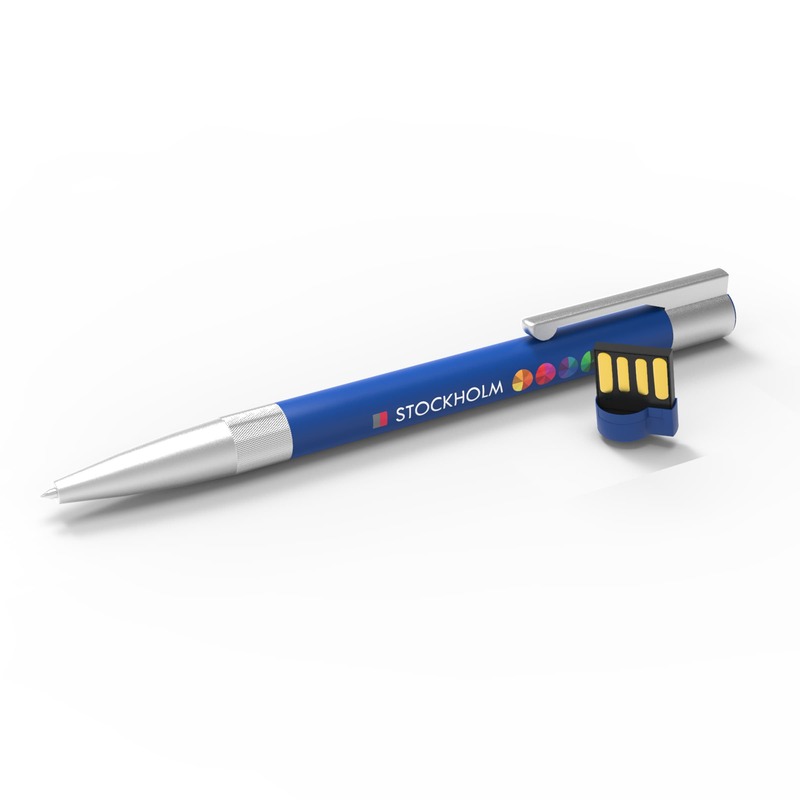 The USB Pen Stockholm is USB stick and pen in one. The newest technology combined with a smart design and high-end appearance. 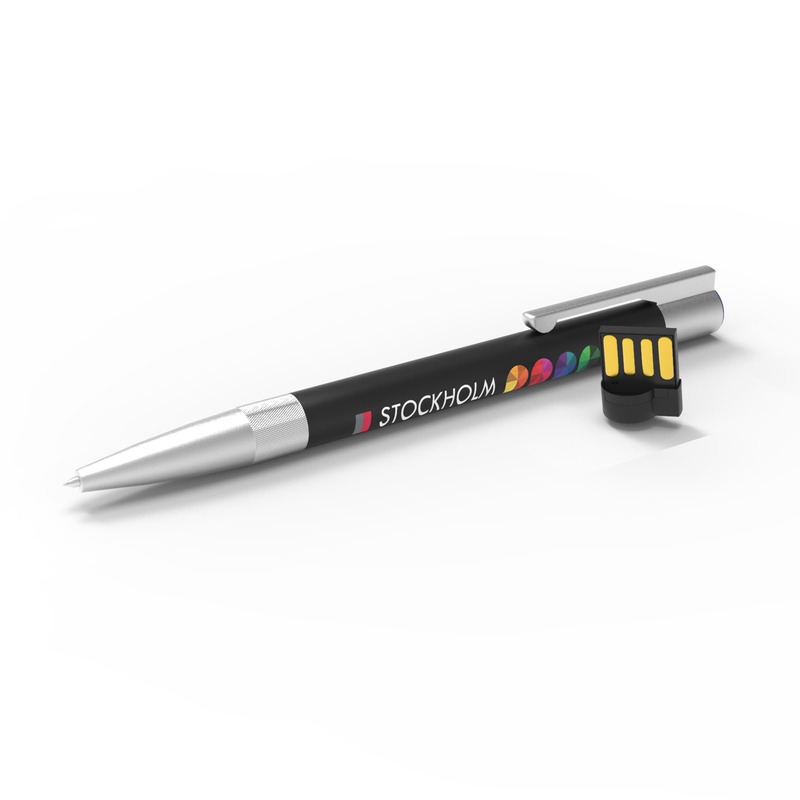 De USB Pen Stockholm stands out thanks to the combination of the newest technology (Micro UDP chip) and high-quality materials presented in a smart design. Due to the metal housing and rubber finish feels the pen stable in hand. 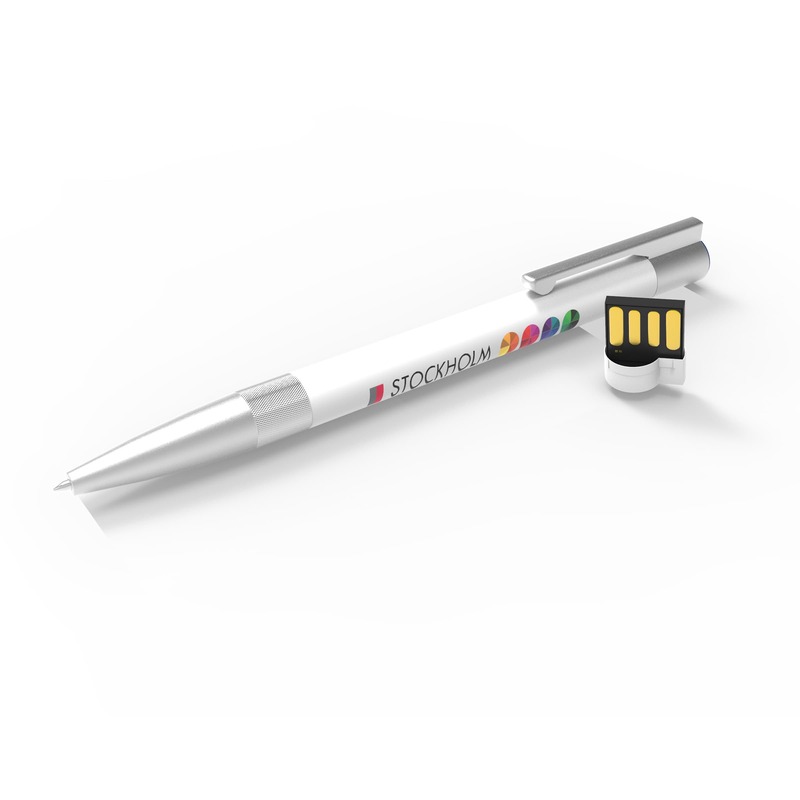 An award-winning promotional item. Exclusively available.